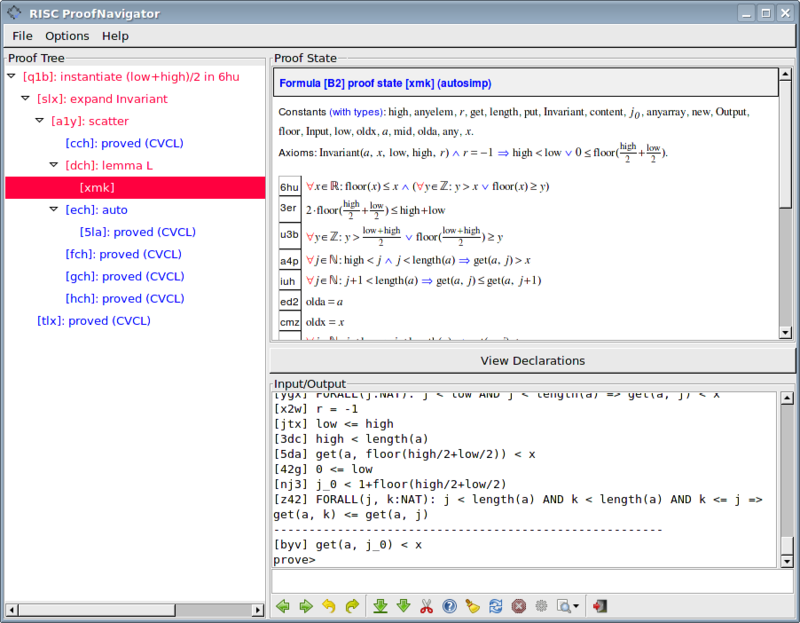 From this page you can download the code of the original version of the RISC ProofNavigator. This code is only kept for archival; it is superseded by the newer version of the RISC ProofNavigator which is integrated in the RISC ProgramExplorer. Just download the RISC ProgramExplorer and rename the script to "ProofNavigator"; the script will then start the RISC ProgramExplorer in a mode that presents the pure RISC ProofNavigator interface. The manual linked on this page essentially also describes the use of the new version of the RISC ProofNavigator (small differences are listed in the manual of the RISC ProgramExplorer). Click on an image to enlarge it. To see the proof, use a browser that understands XHTML+MathML, for instance Mozilla Firefox. MS Windows Users: You can download a pre-configured virtual Linux machine (for the free VirtualBox virtualization software) with the RISC ProofNavigator for execution under MS Windows. This is a binary distribution for GNU/Linux x86 computers (32-bit or 64-bit). See the files README, INSTALL, CHANGES, and COPYING. This is the user documentation for the software. This is the interface documentation of the program classes. 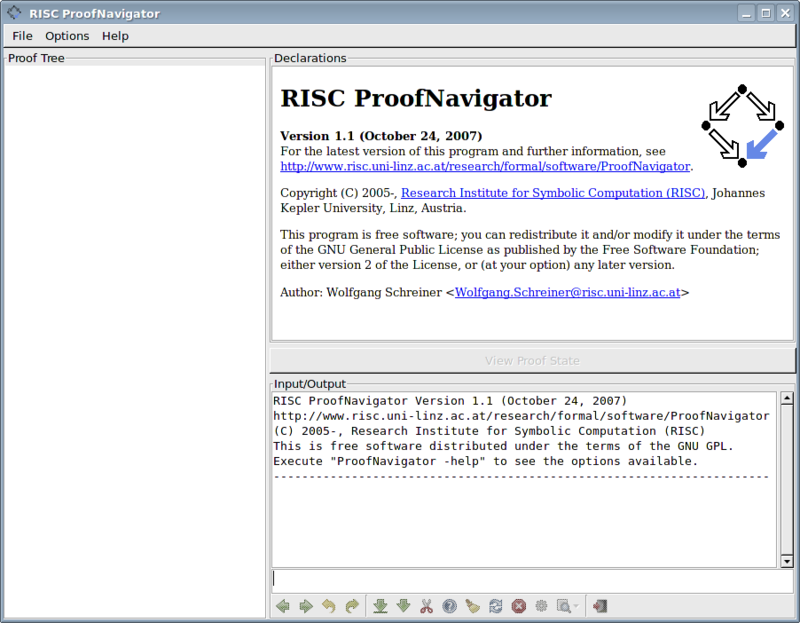 Collected information on the RISC ProofNavigator.